Miguel was born in London and attended Aylestone Comprehensive (now Queens Park Community School). He then studied for a BA (Hons.) in Economics and Government and then a SSRC competitive sponsored MA in Latin American Government and Politics at Essex University (1979-1983). He was a Researcher located in the Universidad Autonoma de Madrids Sociology Department (1983-84) financed by a British Council/Spanish Ministry of Education Scholarship and later a Vicente Cañada Blanch Foundation/University of London Fellowship (1986-87). He completed his PhD in Industrial Relations in 1988 with an ESRC scholarship (1984-86) at the Warwick Business School, University of Warwick. He has worked at Cardiff University, Keele University, Leeds University, Durham University and Bradford University as well as having been employed in local government during the 1980s. Miguel has taught a range of modules over the past thirty years: Human Resource Management (both National and International), Employment and Industrial Relations, Public Policy and Management, European Public Policy, Research Methods, Management Theory/Business Environment, and the Sociology of Work. He has supervised a range of doctorial students and has taught on doctoral and masters programmes in the UK (e.g. Ruskin College) and in Spain (e.g. the University Autonoma of Madrid, University of Zaragoza, University of Seville, the University of Valencia and the University of Oviedo). He is currently teaching Contemporary Employment Relations, Human Resource Management (Context and Organisation), and International Human Resource Management at the Undergraduate and Posgraduate level. 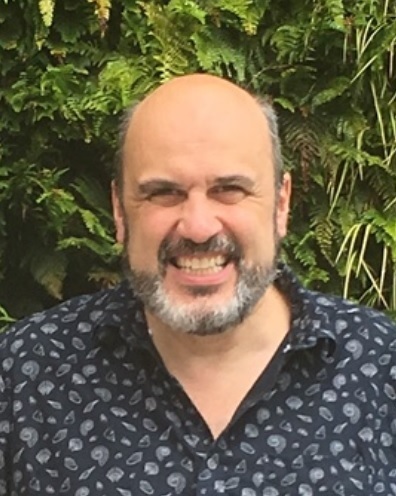 He was the Coordinator and a co-founder of the Fairness at Work Research Centre (FairWRC) and an active member of the European Work and Employment Research Centre (EWERC): he was part of the team that merged these into the current Work & Equalities Institute (WEI) and is currently a co-director. In addition, he has been on a range of editorial boards and committees such as the International Journal of HRM and Work, Employment and Society, Capital and Class (where he was lead coordinator twice). He is currently on the editorial board of the European Journal of Industrial Relations, Critical Perspectives in International Business, and others. He is also currently joint chief editor of New Tecnology, Work and Employment. He has been an advisor and evaluator for various bodies such as trade unions (e.g. UNISON, UNITE, the CWU, UCATT, the TUC nationally and regionally, and the ETUC) and public bodies (e.g. BIS, ACAS, EC). He is a founder member of Critical Labour Studies and a member of the trade unions UNITE and the UCU.